If you are in Alpharetta or Dawsonville looking for your next family-friendly SUV, consider the spacious and safety-focused Honda Pilot. Browse our inventory to find a Honda Pilot for sale that you like, then contact us to schedule a test drive! 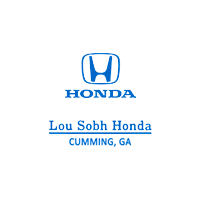 Expand your search by checking out the rest of our Honda SUV inventory at Lou Sobh Honda, and once you’ve found the model you like, contact our finance department to go over all your options. Our experts can help you get a great deal on your next SUV.